The son of Malta’s best-known investigative journalist, murdered by a car bomb, has spoken of his helplessness after arriving on the scene. 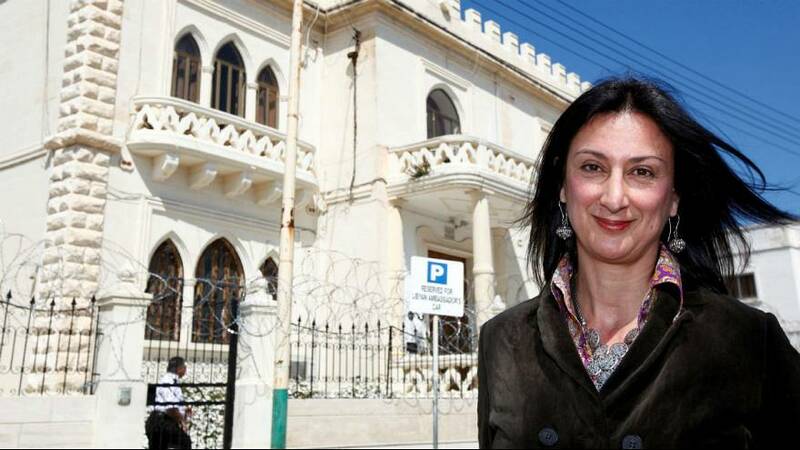 Daphne Caruana Galizia, who wrote about Malta corruption on her blog, was murdered on Monday soon after she left her home in the north of the island. “I am never going to forget, running around the inferno in the field, trying to figure out a way to open the door, the horn of the car still blaring,” Matthew Caruana Galizia said in a post on Facebook. The explosion, which blasted the car off the road into a field near the village of Bidnija, stunned the small Mediterranean island. Authorities said it was the first murder of a journalist there. “I am sorry for being graphic, but this is what war looks like, and you need to know,” he continued. “This was no ordinary murder and it was not tragic. Tragic is someone being run over by a bus. When there is blood and fire all around you, that’s war. Prime Minister Joseph Muscat and opposition leader Adrian Delia – who had both been criticised on her blog – both condemned the killing. Around 3,000 people held a silent, candle-lit vigil on Monday night in Sliema, just outside the capital Valletta.